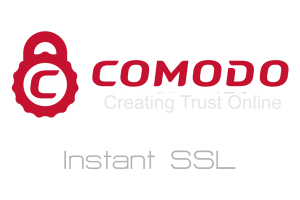 When you want fast, reliable SSL protection for your website, Comodo Positive SSL allows your customers to safely exchange information with you. This basic form of SSL (Secure Sockets Layer) offers you several advantages. State-of-the-art encryption. 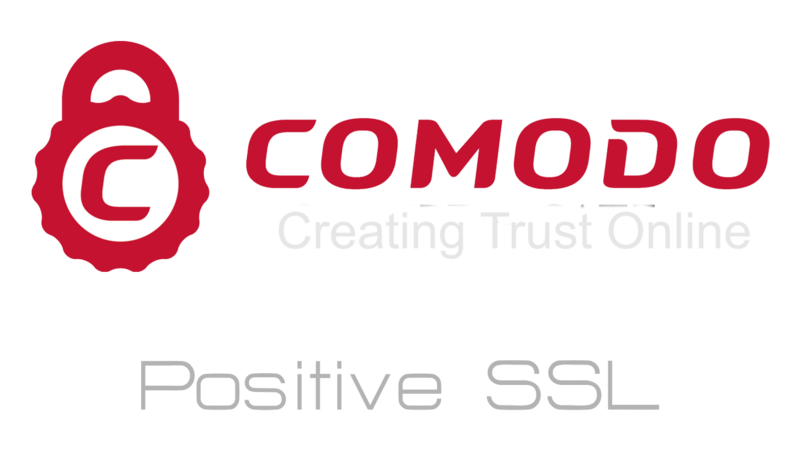 A PositiveSSL from Comodo features 128/256 bit encryption. Domain level validation. Positive SSL from Comodo validates that your domain belongs to you. For many companies, this effective basic SSL certificate offers perfectly adequate protection. Speed. 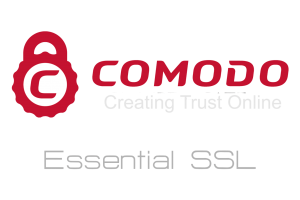 While some types of SSL validation take several days to obtain, a Comodo PositiveSSL certificate is ready to be applied to your site within minutes. Build trust with Comodo. Since 99.3% of browsers trust the Comodo name, your site will be recognized as secure by the vast majority of your customers. As your business expands, you may need more in-depth validation to increase customer trust, but a Positive SSL certificate is ideal for start-ups or businesses that don't exchange highly sensitive data. A PositiveSSL tells people that your site belongs to a real company and that their data is secure. PositiveSSL certificates from Comodo are the ideal balance between price and protection for many businesses. If you're not sure what level of protection you need, Croatian Web Hosting's team of IT security professionals can help you choose a product that fits both your needs and budget. Although Croatian Web Hosting offers Positive SSL at prices below the CAs that issue them, we have an outstanding customer service and support department on standby to help you learn about SSL certificates and choose the right product, and even help you with technical support when it comes time to apply the SSL cert to your site. For questions or support, we invite you to join our Live Chat or Feedback Forum, use our ticket system, or e-mail us any time. 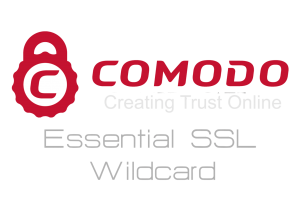 Comodo Essential SSL is the solution for websites or environments where trust has been established and entity verificat..
Comodo Instant SSL certificates allow you to complete online transactions with the assurance that the information p..
With Comodo’s Premium SSL certificate, business can conduct business with an extremely cost effective professional ..
A wildcard certificate takes domain security a step further: you can secure your website (normally www.example.com), ..
Comodo Essential SSL Wildcard is a cheap wildcard SSL suitable for securing unlimited subdomains of a single domain..